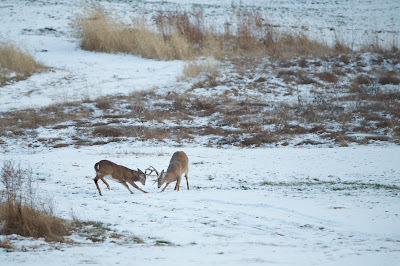 I was sitting on a log at the edge of the woods looking down into the meadow at dusk when all of a sudden the action started. 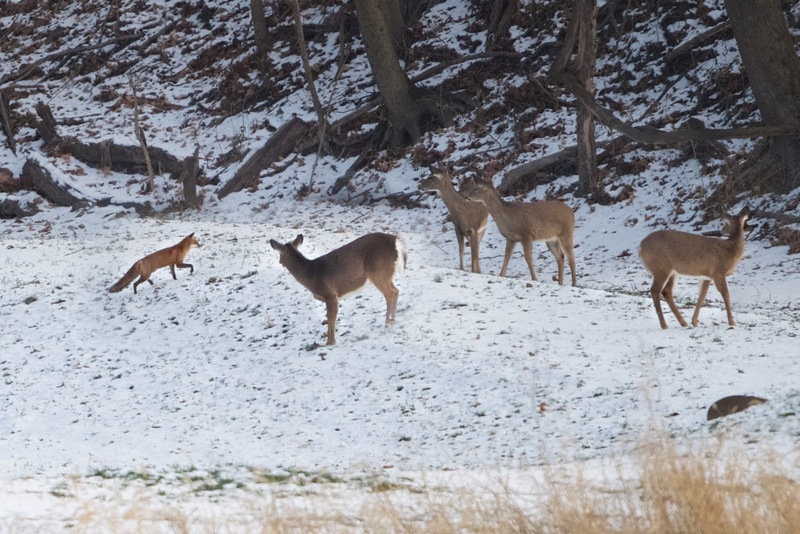 First a group of doe came out of the woods onto the snow and then a fox appeared and nobody was startled. If that had been a coyote I think it would have been a very different scene. Then a few minutes later a group of buck still with their antlers in tact came out of the woods into the meadow and two of the big guys began butting heads. Oh Valley Forge - a wonderful wonderland.